Under the terms of the United Nations Convention on the Rights of the Child, children have the right to survival, development, protection, education, and being raised by their parents; however, in Cambodia, many children encounter adverse childhood experiences. 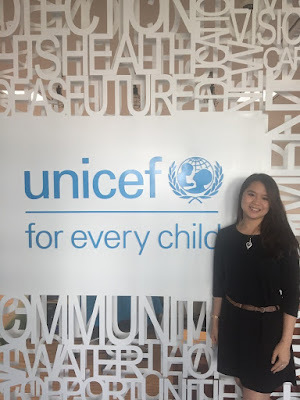 As a social worker from the United States with a passion in international development, my aspirations to change the world led me to complete an internship with the Child Protection Section at UNICEF Cambodia during summer 2018. Voices of Youth trainees during the weekly sessions. 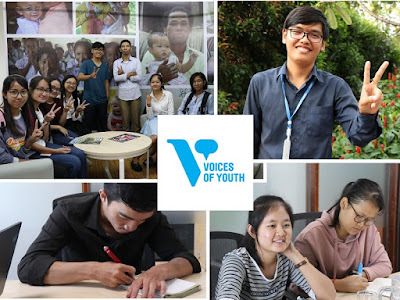 What is the Voices of Youth programme? Voices of Youth (VOY), founded by UNICEF Headquarters in New York, is a vibrant community of youth bloggers offering inspiring content, original insight and opinion from across the globe. Bloggers on VOY share their creative talents with the world through writing about issues that matter most to them. 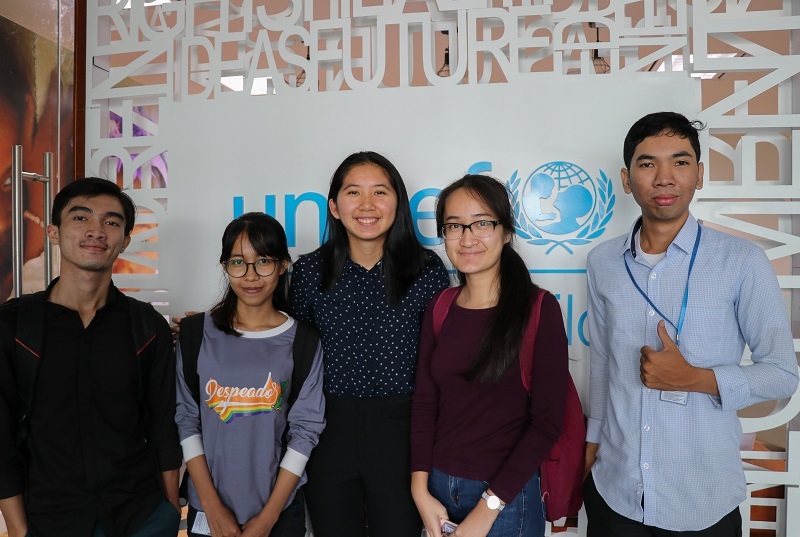 UNICEF Cambodia started this programme in-country in 2016 and since then Cambodian adolescents and young people were successfully trained in blogging as well as in other critical skills like communication, online-safety, self-expression and team work. Phnom Penh, Cambodia, November 2018 - This month, the Royal Government of Cambodia (RGC) and UNICEF launched their 3rd joint monitoring visit (JMV) across Cambodia to evaluate ongoing education and child protection programmes for children and women in Cambodia. Sorita and four trainees after a Voices of Youth session. From left to right: Dara, Pisey, Sorita, Pichny and Sakada. Phnom Penh, Cambodia, November 2018 – It is an ordinary day at the UNICEF office in Phnom Penh and Sorita is waiting for 11 trainees to arrive. Sorita is 21 years old and currently working as a blogging trainer for the Voices of Youth programme of UNICEF Cambodia. 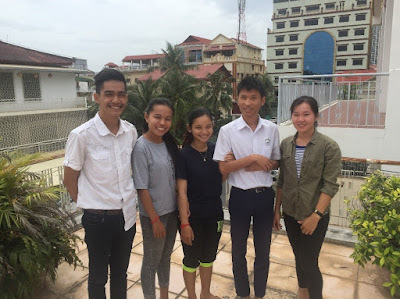 She is providing ongoing training to 11 young Cambodians on blogging, writing and research, among other skills. For 3 months, she holds weekly face-to-face sessions and gives feedback to the trainees on their writing assignments. Every trainee writes one blog article per week, on topics and issues of their choosing. PHNOM PENH, Cambodia, November 2018 – When someone mentions research or evaluation, the first image that comes to mind may include a room full of adults discussing data in technical terms and not an interactive event with young people taking part in a discussion with Secretaries of State and policy makers. However, the latter is what you would see if you attended meetings on the Child Protection Programme Evaluation at UNICEF Cambodia. 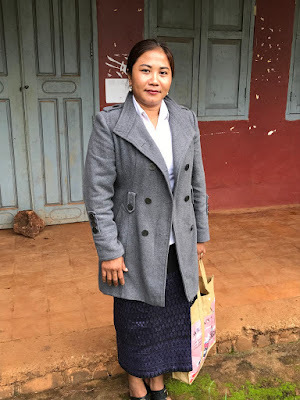 and another school support committee member at Svay Kal Primary School. 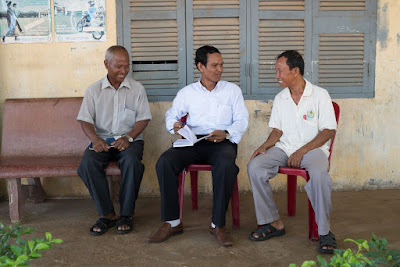 KAMPONG THOM Province, Cambodia, November 2018 – Svay Kal Primary School was, until recent years, one of the schools which have developed a reputation for low-grades and high dropout rates, resulting in low enrollment figures. Dy likes to help with the cooking whenever possible. He does not always have breakfast depending on the availability of food in the house. His parents use the money they earn (5 dollars a day) to buy food for the family. Stung Mean Chey, Phnom Penh, Cambodia. Phnom Penh, Cambodia, November 2018 – As she helps her son put on his school uniform, twenty-six-year-old Sien Chres is excited but surprised to see him returning to kindergarten. 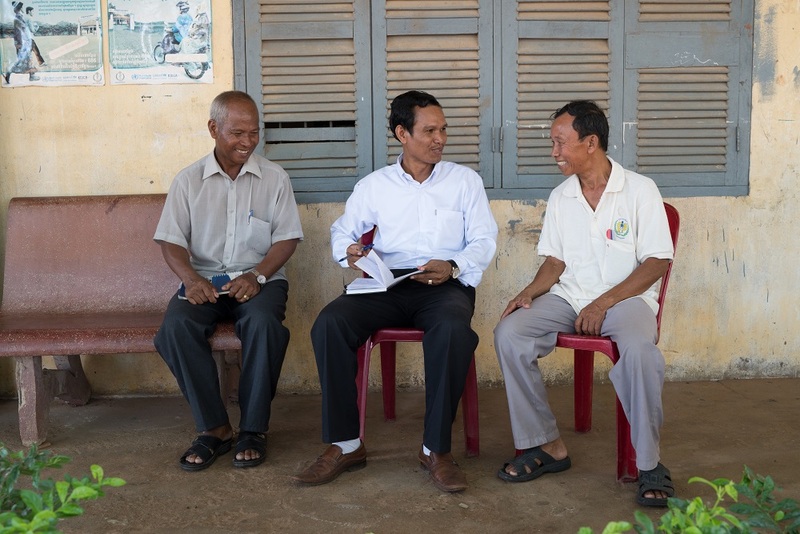 Takeo Province, Cambodia, November 2018 – Many pregnant women and mothers in Cambodia do not have access to health centres and may not have adequate knowledge to take care of themselves during their pregnancy nor to take care of their new-born baby.